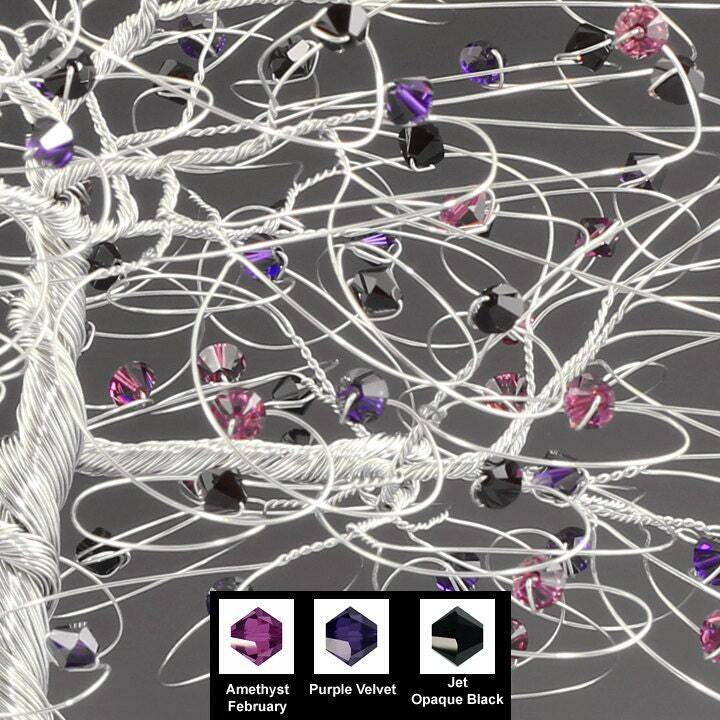 This listing is for a tree cake topper with genuine swarovski crystal elements in two shades of purple (Amethyst and Purple Velvet) and opaque jet black on silver tone wire. See second photo for closeup of bead colors! 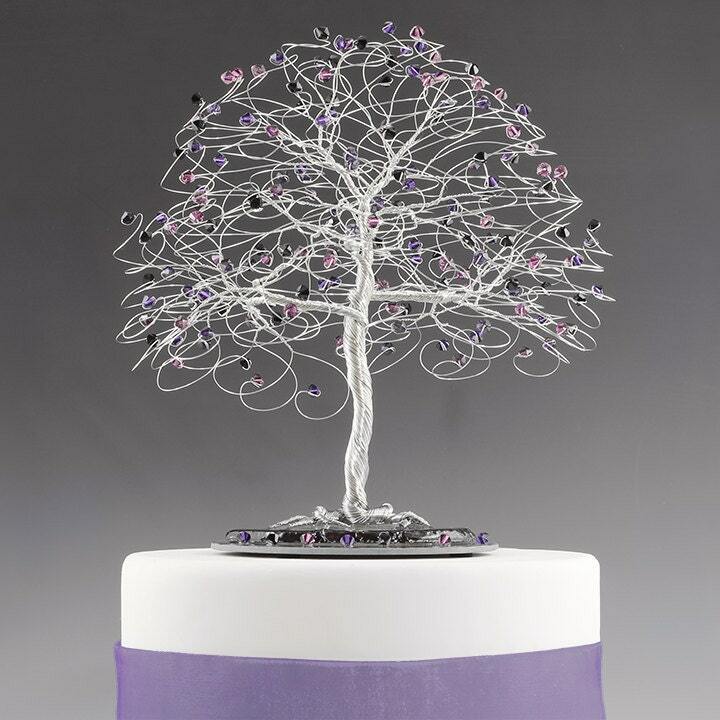 Silver tone tree cake topper measures approx 9" tall x 8" wide with every branch ending in genuine swarovski crystal in purple and black. Wire used is treated with a non-tarnish finish. 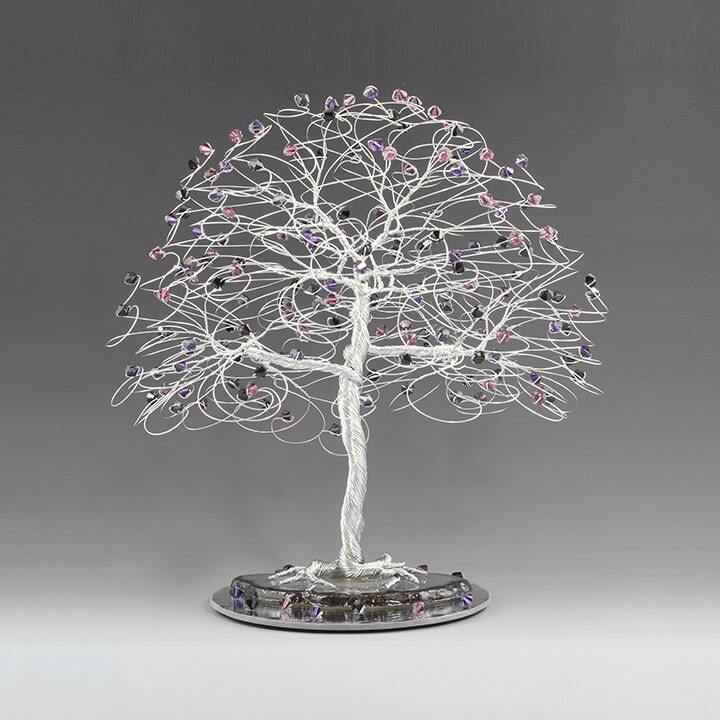 Tree base is brazilian agate stone mounted to a 5" round mirror and surrounded by a scattering of fallen leaf beads. The agate will be in a variegated black and dark grey. 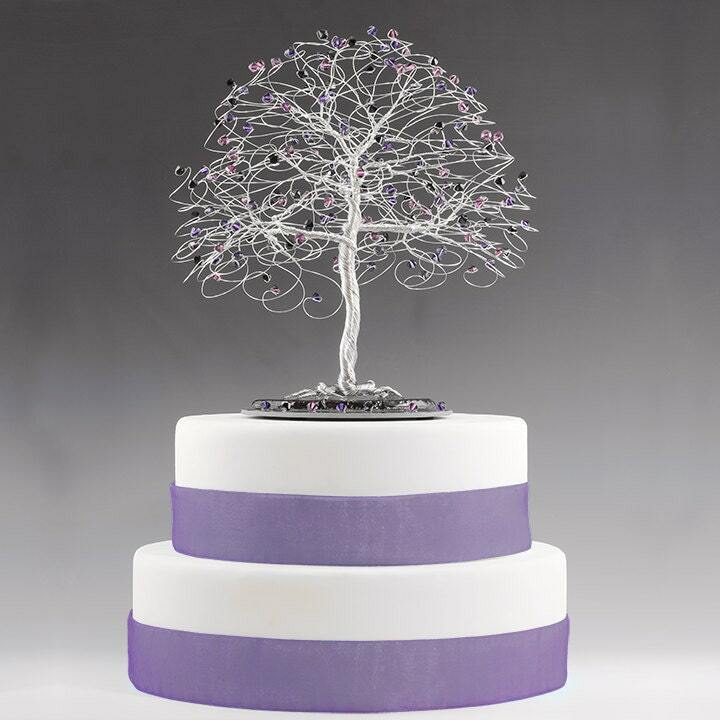 This will fit a 6" or larger cake top. Weight is about 14oz.